Marijuana business opportunities in Colorado will be much more limited than many entrepreneurs initially envisioned when voters legalized cannabis for adult use back in November. The second-largest city in the state – Colorado Springs – banned recreational marijuana sales today, following the lead of more than two dozen other towns that have outlawed or placed moratoriums on retail cannabis shops. The City Council voted 5-4 in favor of a ban despite numerous comments from supporters and a rally outside. With a population of more than 400,000, Colorado Springs was seen as an important market for the state’s recreational marijuana industry. Now, most of the opportunities for entrepreneurs will be concentrated in the Denver area, Boulder and small pockets across the state. Other cities, such as Fort Collins, have not weighed in yet and could decide to ban such operations as well. The result: There will likely be fewer opportunities to open cannabis shops, edibles companies, cultivation sites. testing labs and related businesses in Colorado. There are some upshots, however. Existing medical marijuana dispensaries in cities with bans won’t have to compete with a slew of new recreational marijuana entrants right in their backyard. At the same time, many residents who aren’t patients will no doubt drive to a nearby city that does allow retail marijuana shops, allowing those businesses to expand their customer base. But cannabis entrepreneurs in cities with bans will likely have to relocate if they want to open a retail marijuana businesses – or scrap their plans entirely. And the sheer number of bans across the state will affect the overall recreational market to some degree, as many residents will no doubt decide to continue buying on the black market rather than drive to nearby cities. The Colorado legislature estimates that annual recreational sales will total $290 million next year, while the Marijuana Business Factbook – published by MMJ Business Daily – puts the figure closer to $500 million. Other estimates come in as high as $600 million. In Colorado Springs, resistance to recreational marijuana sales among public officials has been growing in recent months, and a ban was expected. The mayor even vowed to veto any proposal that would allow retail marijuana stores. Other towns that have enacted bans or moratoriums on recreational marijuana businesses include Greeley, Longmont, Castle Rock, Montrose and Greenwood Village, while Aurora, Pueblo, Centennial and several others have enacted moratoriums. Colorado Springs has never been a nest of progressive agendas, so I can’t say I find this news shocking. It is, after all, home to: the Air Force Academy, the National Archives, and Focus on the Family. Manitou Springs and others will surely pick up the progressive slack, again. What is interesting to me as the second largest city one can only presume that many of the votes for legalization also came form that city. 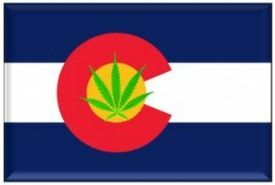 Since the mayor is elected by the people of that city maybe the pro cannabis residents of Colorado Springs and other cities ignoring the will of the people of that state should feel the pressure for their job on line if they do not allow what the people clearly voted for. I would think activists would and should already be out in force giving this message to cities and their council members as well as the Mayor. The cannabis industry needs to start grooming candidates for all public offices. Our successful and savvy businesspeople, medical and legal professionals should be sitting on city councils and other legislative bodies and would be pragmatic, progressive policy-makers in tune with a majority of voters in our rapidly changing world. Common sense dictates that moratorium will on lead to an underground market, loss of tax revenue and as in the Netherlands, the number of young people using actually increased with legalization. Pot Tourists account for the increase in use and would bring tax revenue to the Springs. Standing on some kind of moral high ground just ignores past lessons concerning prohibition. These politicians probably have to answer to their congregations on Sundays and must appear holy. As a conservative libertarian believer, these people must become realists and quit playing the morality game. I meant to say use decreased among youth in the Netherlands. It just is not as fun when it is legal!